If we don’t have it, it’s not sold in Michigan! Welcome to the online home of Northview Liquor & Wine Shoppe! 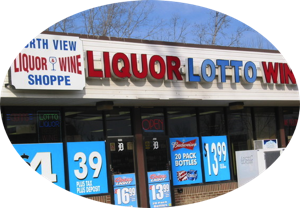 Northview Liquor & Wine Shoppe is located in Macomb, Michigan on 21 Mile Road & North Ave.
Not looking for Northview Liquor & Wine Shoppe? Check out our other store, B&B Liquor located on 26 Mile & Romeo Plank. Northview Liquor & Wine Shoppe is the home to the largest variety of cold beers, exquisite wines and liquor for the absolute cheapest price in the area! Our liquor prices are at the STATE MINIMUM and if we don’t have what you are looking for, chances are it’s not sold in Michigan!